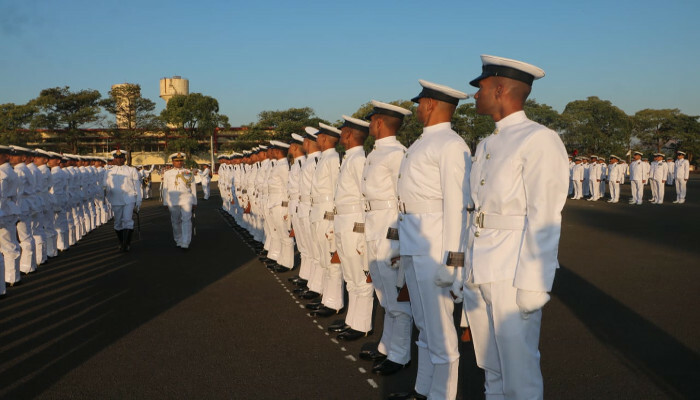 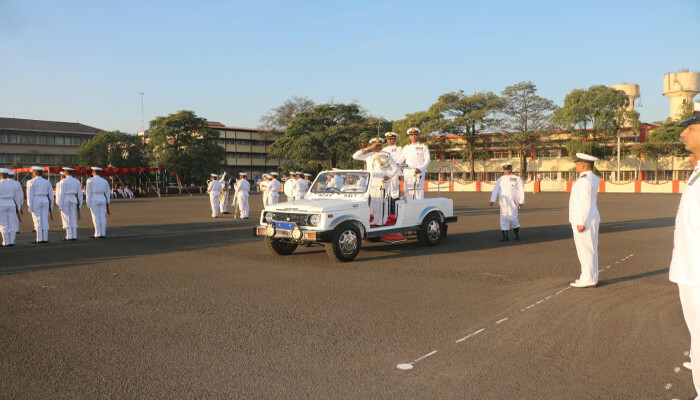 The Passing Out Parade of the 86th Marine Engineering Specialisation Course (MESC) was held at INS Shivaji on 29 December 2018 and was reviewed by Chief Staff Officer (Training), Southern Naval Command. 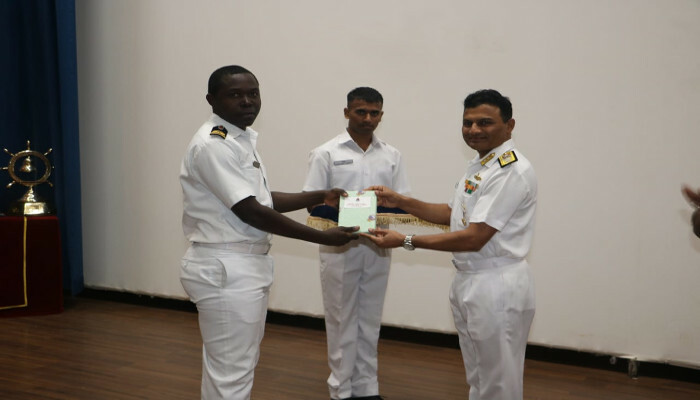 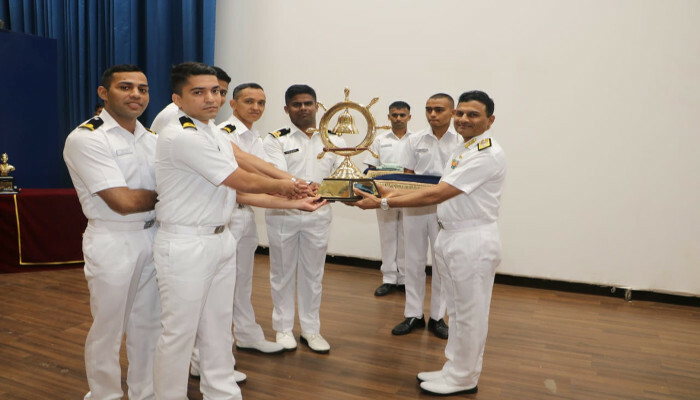 60 officers, including five from Coast Guard and 13 from friendly foreign navies successful completed 79 weeks course. 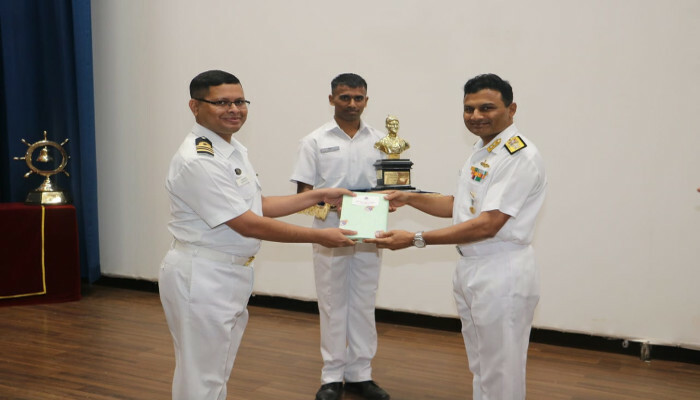 The Chief Guest awarded trophies to meritorious officers in various fields. 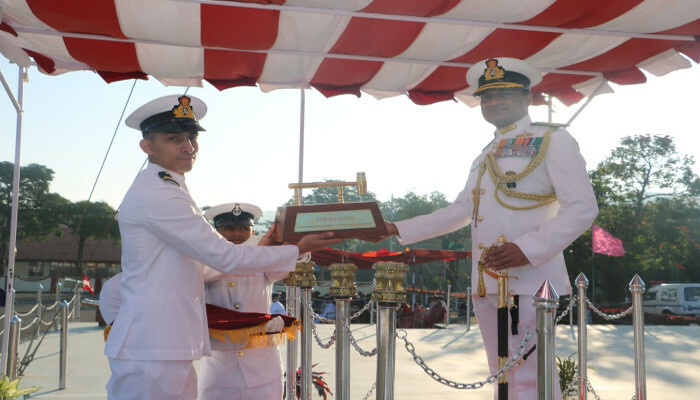 The ‘Hammer’ for ‘Best All-round Officer’ was awarded to Sub Lieutenant Praveen Singh Kanyal. 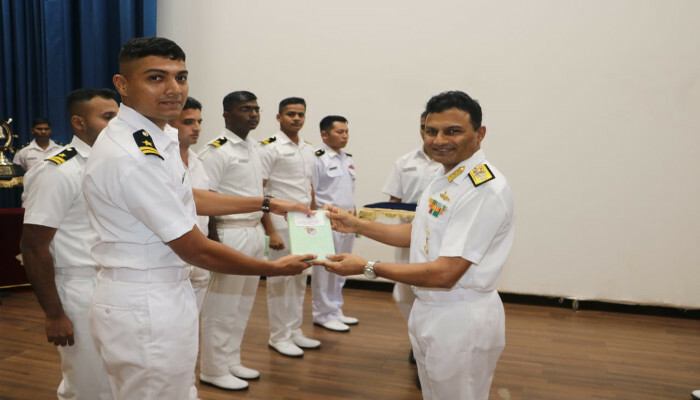 Lieutenant Commander Md Imran Khaled from the Bangladesh Navy and Sub Lieutenant V Manoj stood first and second respectively in the ‘Overall Order of Academic Merit’. 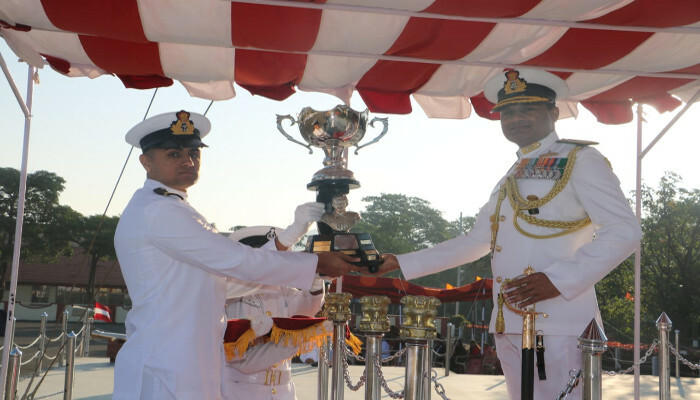 The DGCG rolling trophy for ‘Best All Round Coast Guard Officer’ was awarded to Assistant Commandant Abhidev Upadhya. 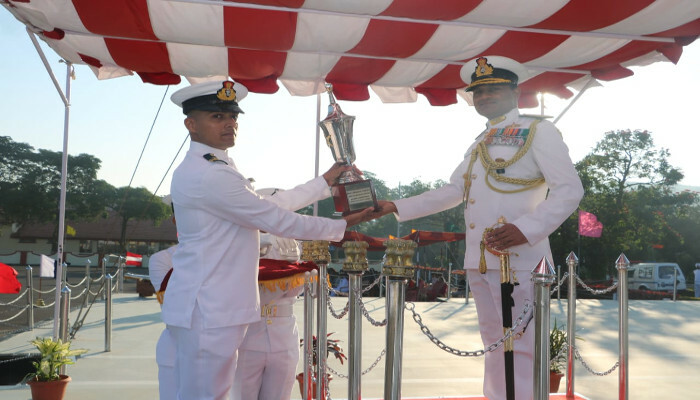 The Vice Admiral Daya Shankar Rolling Trophy for ‘Best Sportsman’ was awarded to Sub Lieutenant Amit Singh and the ‘Best Project Syndicate’ award was given to the project on ‘Development of Predictive Analysis Trainer Kit’. 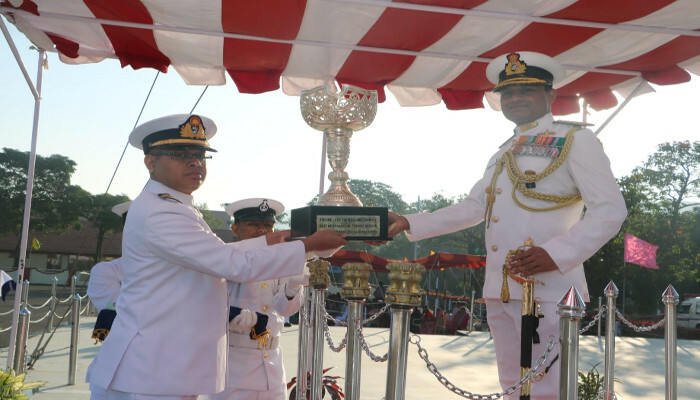 The Flag Officer Commanding-in-Chief (South) Rolling Trophy for ‘Best International Officer’ was awarded to Lieutenant Commander Md Imran Khaled from the Bangladesh Navy, while the Commodore’s Rolling Trophy for ‘Positive Living’ was awarded to Sub Lieutenant Sahil Singh Dhanda.